The question you keep asking, we may have an answer for. 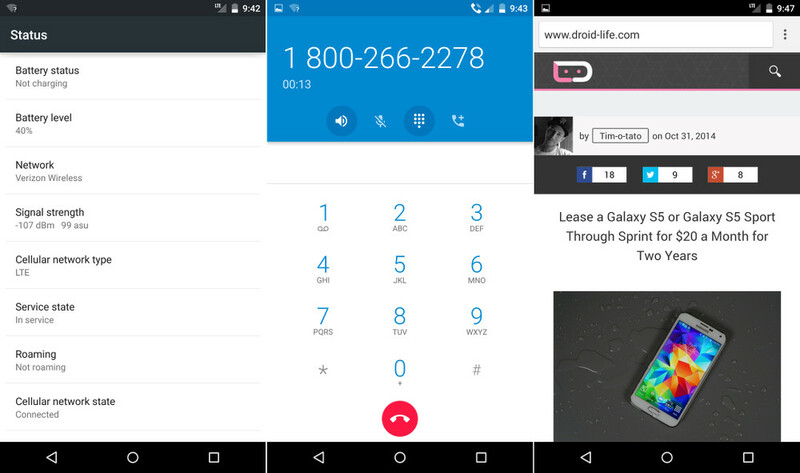 Will the Nexus 6 work on Verizon out of the box? Since we can’t seem to get a straight answer on the subject from any parties involved, we decided to test it immediately upon receiving our review unit. The short answer – yep, it seems to be working. Before doing anything else with the phone, I popped out the SIM tray and tossed in my Verizon nano SIM. I then walked through the setup for the first time, watched as the device activated cell service, saw the LTE icon appear, and then completed setup. I then opened Chrome and quickly opened up Droid Life without a hiccup to test data. But what about calls? Oh I tested that too. I placed calls to Comcast and Tim, both of which went through. So yeah, in short, the Nexus 6 appears ready for Verizon, even if the carrier has gone missing from the Nexus 6 support page (Edit: Surprise! Verizon now listed again after not being there for the last two days). Update: I noticed that some of you are wondering why we needed to test this. Yes, we are fully aware that Google and Verizon have confirmed to us that the Nexus 6 will work on Big Red’s network. And yes, we are fully aware that it supports both Verizon’s CDMA and LTE bands. We know all of this. But, as I mentioned above, Verizon was the only carrier missing from the official support site for the device (until about an hour ago). Verizon has also been pretty quiet about the Nexus 6, only confirming to us that they plan to carry it. Other than that, they haven’t announced a thing when it comes to the Nexus 6. So, a number of readers have been concerned over whether or not the device would work on Verizon when it ships from Google Play. In other words, would their $649+ purchase work on Verizon right away or would they have to wait for it to be given the green light? That’s why we tested it. 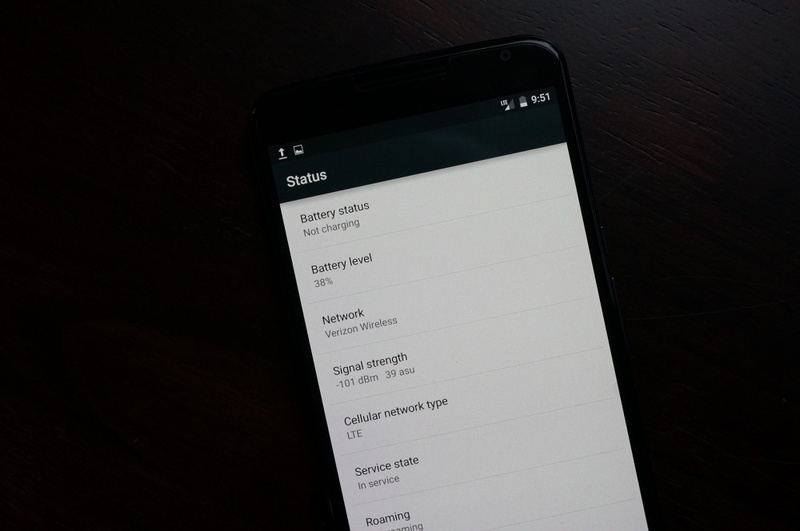 Update 2: Here is video of the Nexus 6 in action on Verizon’s network. Video coming in a minute. Friday Poll: What is Your Typical Screen on Time in a Day?